It is with deep regrete we anounce the passing of our good friend Donald Drew. Don was born in 1924 and passed away on 2 March 2016. His funneral was on 14 March 2016. Don served as a Navigator with the Royal Air Force from 1943 to 1947 and his love of aircraft and flying stayed with him throughout his life. Upon leaving the RAF Don took a temporary job with Her Majesty’s Revenue and stayed for over thirty years. On his retirement Don joined The Spitfire Society and amongst many activities, on behalf of the Societ y’s Porthcawl Roundel, was responsible for the organisation of the annual memorial to fallen pilot of Wing Commander Ira Jones: who came from St Clears in Camarthenshire. 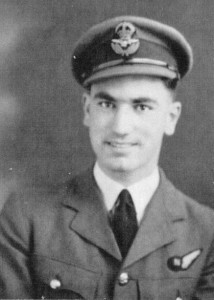 Don was a keen supporter of the Welsh Spitfire and his historic knowledge of the aircraft and its documentation made an important contribution to the restoration project. Don and Hazel were supporters on all of our Open Days. Don your friends in The Spitfire Society and The Welsh Spitfire Museum will miss you but never forget your contribution and friendship. Rest in peace Don.